Living in the south-eastern suburbs surely helps to have an easy access to the Dandenong Ranges and the bayside beaches. Do you own a home in Huntingdale and find it tiresome to keep your gutter cleans at all times? CPR Gutter Protection is Victoria’s number 1 gutter guard specialist and would be delighted to assist you to in keeping your gutters clean and your home safe throughout the years. CPR Gutter Protection has been providing their gutter guard services for over 20 years and each product comes with 25 years warranty. Gutter guard system will also help to increase the market value of your home for your rental property aspirations. 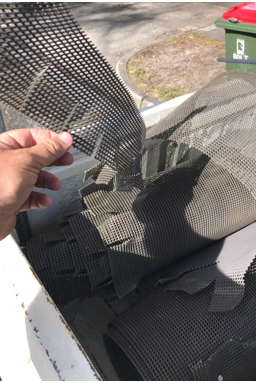 Gutter guard protection system comes in a wide range of products such as gutter screens, leaf screens, gutter guard mesh, metal gutter protection, gutter helmets and fine mesh gutter guard. All our gutter guard protection system is manufactured from the highest quality and highest grade aluminium. All the products are 100% Australian manufactured. They are robust, affordable, and weather resistant as they are designed to suit the local climate of your home and will ensure to keep gutter free flowing at all times. Gutter protection will keep the leaves and debris away from the gutter and put an end to creating a comfortable environment for intruders. Intruders find refuge in clogged gutters and exposed gutters also serve as a passageway for rodents to enter your home. Installing gutter guards made from the highest grade aluminum provides gutter protection from a variety of problems. CPR Gutter Protection experts can offer you excellent advice for all your gutter protection and roof restoration related queries. Our experienced professional installers are highly equipped with safety equipment and are fully insured. Do you want to end the tiresome gutter cleaning every weekend? Call CPR Gutter Protection at 0431 239 512 to help you with gutter guard installation.